Again this year, I know I’ll receive warm hugs and kisses from my daughters in recognition of yet another Fathers’ Day, my forty-fifth such occasion. It never grows old. We dads grow old, however, despite our best efforts. And in so doing, we lose our own fathers as they board the last train to glory, to borrow from Arlo Guthrie. My dad departed the station more than a dozen years ago, but he remains with me almost daily in my thoughts. And never more so than on Fathers’ Day. When I was a young boy, he would often take me to local railroad crossings to watch the big steam locomotives and their endless caravans go storming by. I treasured those occasions because I would have his undivided attention, a not-so-frequent circumstance in a family that eventually numbered five children. He enjoyed the time with me, too, I’m sure; but he loved those trains even more than I, a boyhood fascination he never lost. He was truly a railwayman, if only in his dreams. Not once did it occur to me as a lad to ask him if his own father had taken him to see the trains, so caught up with the spectacle was I. I’ve often wondered since if he might have been fondly recalling such times with his dad, even as he was standing beside his son. 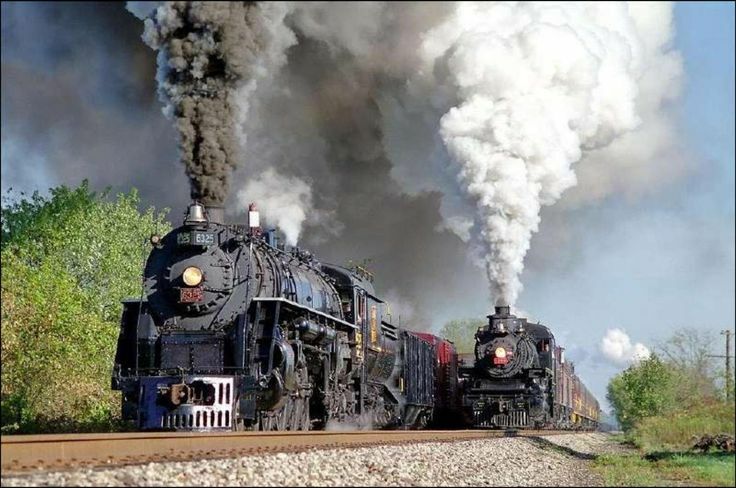 The locomotives huffed and steamed, their whistles blowing long and loud. And one small boy, he stood and dreamed beside his daddy, tall and proud. Felt their force on that steel highway, hearts a-racing—loving, true. A-belching, spewing, throwing flame and steam and smoke o’er ev’ry place. But you’d stand fast beside the track, and, oh! the spectacle was grand. So, unafraid, I’d not step back, ‘cause you were there holding my hand. How much I loved you—Dad, my friend, who shared with me your dreams untold. Could only stand safe in your hand, awaiting with you our next train. Now, all aboard, Dad…all aboard! Happy Fathers’ Day to all who, like me, are both fathers and sons. We are blessed.